Audrey Assad's new album Evergreen will be released February 23rd, her first full-length original album in four years! 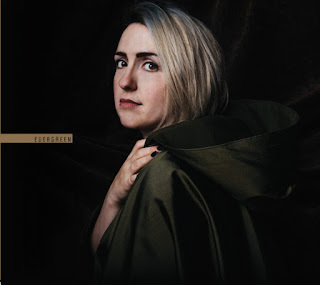 Though you can preorder it through the usual platforms of iTunes and Amazon, you can also order it from Audrey's Pledge Music page during the next two weeks; there you can also buy some cool Evergreen merch, including T-shirts, vinyl albums, and autographed items to support the release. Well, today Audrey released this beautiful brand new song titled "Drawn to You," the third preview we've heard from the upcoming album, following "Wounded Healer" and "Deliverer." From these previews, I'm sure Evergreen will be a beautiful worship album!